SPEED.SALE - We Boost Your Sales so you can have More Free Time! We Boost Your Sales so you can have More Free Time! The Sales Software that both Managers and Sales Teams Love! Generate Leads and Turn Them into Paying Customers Easily! Make, Receive and Log Calls directly from/to SPEED.SALE! Connect with Your Customers just as if you were Together! One Click File & Folder Sharing! FREE 1 USER! START NOW! No Credit Card Required. Instant Access. #4 reasons why we are better! We took great effort in making SPEED.SALE's main tasks as simple, direct and automated as possible. This way your Sales Team can focus on what really matters: closing sales and generating more revenue! Our intuitive user interface allows you to get started right away with a minimum or no training at all. It is that simple to use! Our pay-per-use price structure allows you to grow as you need. You don't have to pay for all of the services if you don't need them. Just pay for what you need. You can increase or decrease the number of users at any time, matching your needs over time. We want to build long lasting relationships with our customers. We want to grow with you and not at your expense. We believe that our product is so good that, if you only need 1 user, we offer it for free. This way you can test all of its features before making an official commitment. You can move to a paid plan at any time without loosing any of your data. #4: IoT means Integration with "Everything"
We aim to integrate our system with any other system that our customers need. If we can reuse that integration with other customers, it is implemented for free. 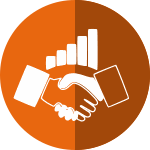 We integrate with ERPs, invoicing softwares, online stores and other systems. Checkout our Integrations Page for more information. No time to loose? Try SPEED.SALE FOR FREE and get started right away! An intuitive user interface designed for sales. A Dashboard for a better overview of the sales activities. Useful tips and best practices to configure and deploy your CRM Mobile: Sell on the road with SPEED.SALE's mobile user interface, working even if you don't have an internet connection. Get leads automatically created from emails, VoIP calls. 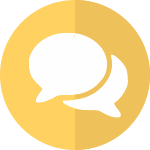 Send quotes in just a few clicks, manage your pipeline with drag & drop, etc. Score your leads based on explicit and implicit criteria (on pages viewed, localisation, time). Define different actions based on lead score and team assignation rules. Decide which total score deserves to be converted into an opportunity. Easily import prospects files with SPEED.SALE's column matching tool. Define your own rules to assign leads to the right sales team or sales person based on quotas and segments . Activate SPEED.SALE Live Chat on your website to talk to your visitors and convert them into leads. Define rules for key countries or pages. Track the source of the leads using UTM trackers in all your marketing campaigns . Customize your pipeline by adding description on stages . Schedule meetings from the opportunity of customer. Sync with mobile phones and Google calendar. Plan next actions and schedule your daily work based on most important opportunities and tasks. Log calls or trigger VoIP calls in just a few clicks. SPEED.SALE proposes to automatically reschedule the next action after the call. Analyze lost reasons on your opportunities to improve your sales effectiveness. Automatic lead generation from e-mails received in some specific e-mail account addresses or from landing pages / webforms: SPEED.SALE can filter the content of the e-mail and prefill all of the fields such as, but not only, name, e-mail address, phone number, address, country, etc. Create rules based on events of time (for example: any lead that sits on a specific stage for more than a certain amount of time generates an alert to the associated salesman or sends an automatic e-mail to the potential customer). 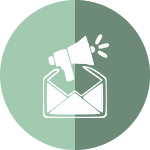 Get accurate and real-time statistics on every email sent out. Easily track your open rate, bounce rate, click-through rate, and improve your overall marketing strategy. Follow the opportunities generated and track the expected revenues . 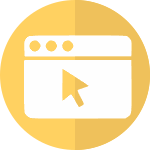 Add a tracking code to the links within your email campaigns and get a complete view of the performance of each campaign on a dedicated dashboard with the SPEED.SALE Link Tracker. Formulate elaborate and advanced marketing campaigns that are centered around your prospects. Nurture all of your prospects with a personal and targeted message. Create advanced and personal emails that don’t look automated. Adjust your message to your prospect’s profile: Adapt to the buyer’s decision journey by sending targeted and personalized emails. Dynamically change email content based on a prospect’s score, industry, page visited, job title, or even their position within the sales cycle. Personalize your “from” field and signature to give your automated email a more human feel. Make smarter decisions thanks to our powerful analytics reports. Stop relying on guesswork and know exactly which marketing drives produce the best results. Connect your closed deals to their original campaign or message in order to find out what has been the most successful and avoid wasting resources. Get a full overview on all your marketing activities, easily interpret your statistics and analyze the results thanks to a comprehensive dashboard and custom reportsMake smarter decisions thanks to our powerful analytics reports. Set up lead nurturing campaigns to stay in touch with prospects who are not ready to talk to your sales representatives. Use lead scoring to send meaningful and relevant messages to prospects that are not considered hot enough. As soon as you decide they are “ready for sales”, they will be automatically handed over to the appropriate sales representative, ensuring a high quality pipeline. Run a simulation of your campaign to test it in real-time or accelerated and fine-tune it before sending it. Score your leads based on demographic and behavioral attributes and keep nurturing them with your marketing campaign until they are “ready for sales” and automatically assigned to a sales rep. Display the results of your statistical analysis on a pie chart, line chart, pivot table or list. Get data on email open rates, bounce rates, clicks and deliverability. Use SPEED.SALE's mobile interface to sell on the road. Keep working even without an internet connection and resynch automatically when you reconnect. Convert quotations into sales orders in one click or, let your customers do it themselves with online quotes and SPEED.SALE eSign. Save time with the ability to modify sales orders, sell product kits, and ship partial orders. Customers have access to their tickets from the portal. Connect your offices from anywhere in the world to the same telephone system and speak to each other at zero cost and with total security. Already have a local PBX? We can integrate it into our cloud infrastructure as a single, virtual PBX. Make and receive calls on virtually any device regardless of the operating system (computer, smartphone or IP phone). On demand, during the call, or for all calls. Listen to voicemail messages directly on your phone. Always / if busy / do not answer. Certain extensions are only available within certain hours. Include rename and email for voicemail. See the call log of internal and external calls. List of prohibited numbers, for example: value added numbers. You can call an almost unlimited number of people on a single shared call, allowing you to conduct a conference. Keep existing phone lines in your business and connect them to your virtual PBX. Use the same tariff regardless of the country where you are placing the call. Using the customer's telephone number for outside calls. Each voicemail message is immediately sent by email. Calls to a specific extension (from inside or outside the system) rings multiple extensions simultaneously or in sequence. The first to answer the phone gets the call. Pick up a call that is ringing at another extension. Right-click on a contact in Outlook and place the call over the normal phone. High Security through Encrypted Communications. You can automate call forwarding through voice menus that are presented to the caller. Distribution of incoming calls by a group of extensions, according to the extensions that are free. We took great effort to give you a clean and simple user interface that allows you to do every task you want, without any visual cluter. ANSER.Live uses the most advanced, state-of-the-art, codecs to give the end user a very fluid and low latency conferencing experience. You can manually change the video quality to suit your needs. ANSER.Live runs directly on the browser using WebRTC. This means that you only have to click on a link, say yes to allow the browser to use the camera and microphone and... you're good to go! 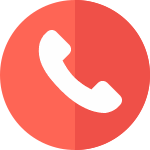 You can invite your users to call a specific phone number (a local landline phone number for example) and they will be automatically connected to the conference. This way you can invice users that don't even have an internet connection. ANSER.PBX can supply this local phonenumber is more than 50 countries including some toll-free numbers. All communication is encoded using SSL cyphers as secure as homebanking websites. This means that all voice and video is protected. You can record your conferences for later vieweing. Send a link to anyone to invite them. They just need to click on the link and join the conference, without any setup. Use the built-in synchronous notepad to share notes with all of the meeting participants. Each participant writes in a different color and in real-time. You can Load and Save the meeting notes. You can protect your meeting room with a secure password to guarantee that only the invited users that know the password can join. You can mute video and/or sound. Kick out users. You can chat all users or specific users during a conference call. You can signal the conference moderator that you wish to speak. You can use the Android or iOS mobile App to connect to a conference in case you don't want to use the web browser of your smartphone. Available interface languages: English, Bulgarian, German, Spanish, French, Armenian, Italian, Occitan, Polish, Portuguese (Brazil), Russian, Slovak, Slovenian, Swedish, Turkish, Chinese (China), Norwegian Bokmal and Esperanto. You can connect a live Youtube Stream as a participant and share it with the conference. This way you can easily connect webcasts with moderation / discussion. You can share a youtube video (just need the URL) with your conference participants. SPEED.CLOUD: Access, Sync and Share Your Data, Under Your Control! Easy user interface with search, favorites, tags and other ways to quickly get at your files. Connect your offices from anywhere in the world to the same virtual filesystem with total security. Already have a local server? We can integrate it into our cloud infrastructure as a single, virtual server. You and others can comment on files, tag them, and see the comments and tags by others. You can share files, calendars and other data. You can also share via public links with or without upload rights, password protection and automatic expiration. Don't trust your files in the cloud? You can use your own LOCAL server and connect it to ANSER.Cloud in a way that users will think that all of the files are in the cloud. However they will remain where you trust, in your premises. You can share files and folders with local users specifying their name or generate an external short-link that can be password protected and time limited. You can define the permissions of that share (read or read/write). Share photo galleries with friends and family. Give them access to upload pictures, view, download and comment on them. Your data - your choice. You can map a network share just like a Windows(r) server and access your files and folders according to your security settings. All changes made through the network share also includes version control. Keep your files in sync by choosing one of more remote folders. Any changes made in either side (remote or local) syncs de changes files / folders. Previous versions of files you modified are retained and can be brought back. Deleted files can be found in the trash. This means that you can recover any overwriten or deleted files easily. File editing and preview support for PDF, images, text files, Open Document, Word files and more. Integration of anti-virus scanning functionality with the anti-virus app. ANSER.Cloud integrated with LDAP servers to authenticate users centralizing authentication and making user management very easy. This means that all user account management can be done in another system (new accounts, change password) and ANSER.Cloud will use that up-to-date information. Fine-grained control over access to data and sharing capabilities by user and by group. Rich Android and iOS mobile clients as well as Windows, Mac and Linux desktop sync clients. The mobile clients can automatically upload pictures and videos you take and synchronize select files and folders. All clients can show activity on your server and notify you of new shares and other important events. All data transfers, from and to clients or the web interface, are encrypted with HTTPS and based on the widely implemented and supported WebDAV standard. You can add external storage to your ANSER.Cloud with Dropbox, SWIFT, (S)FTP, Google Drive, Amazon S3, OpenStack Object Storage, local hard drives, WebDAV, SMB/CIFS and more. You can control if you want to retrieve thumbnails and how often you want to check for changes. With the Encryption app, data can be encrypted on local and/or remote storage. Keys never leave the server but can also be managed by an external key management tool. Advanced quota management with configurable accounting of external storage. Use the Music app to listen to your songs, securely store your passwords in Passman and stream your movies with the Streaming app. Simply enable one of over 250 applications available. The Activity feed and Notifications keep you updated on what is happening with your data. Ready to get started right away and boost your sales? SPEED.SALE's Pricing is very Simple and Highly Competitive! No hidden costs! You only pay for what you use! - 1 GB Online Cloud Storage w/ File&Folder Sharing. Start Using SPEED.SALE NOW, for FREE! Please fill the form bellow. You will receive an e-mail message as soon as it is ready. It should only take a few minutes. Can I increase or decrease the number of users? Yes. You can change the number of users at anytime and only pay for those that are active. This change can only be done once a month and must last at least one month. What devices can I use with SPEED.SALE? Is it 100% mobile-friendly? You can use ANY device that has a modern browser! You can use a Computer, Tablet or Smartphone. There is not setup required. SPEED.SALE is 100% mobile-friendly as it adjusts itself to the size of your device's screen (responsive). Email support every weekday from Monday to Friday, 9am to 6pm GMT in English and Portuguese. Custom support via voice or remote control (requires a support contract). How is a paying user defined? Visitors to the SPEED.SALE website will NOT be counted as users. What kind of support can I get without a support contract? We provide functional support and technical support evey weekday from 9am to 6pm, in English and Portuguese through email only. A dedicated consultant is only available with the celebration of a Support Contract. I have my own domain name. Can I use it for my website? Of course! Our support team is able to guide you during implementation in order to setup your domain using SPEED.SALE based on how you plan to manage your emails using the same domain name. You cannot your a custom domain in the FREE subscription. How does the "FREE Subscription" work? What happens when I want more users or more Apps? The "FREE 1 Subscription" is a full-featured solution with only the number of users and sales teams limited to ONE. When you want to add more users or features you have to switch into the regular paying subscription (Express, Professional or Enterprise). How does the Support Contract work? Monthly Hour Pack that works in the same way as the yearly pack with the exception that you have a fixed monthly fee and a fixed number of hours to use. Any hours not used in a month accumulate until the end of the contract. Unused hours expire at the end of the contract. Do I need a Support Pack to get any kind of support? You don't need a Support Pack to operate your database. However you need to have at least one remaining hour in a support pack to get any assistance from ANSER. If you don't have any remaining hours, ANSER will not be able to assist you in any support query you may have. Instead of paying yearly can I pay monthly? You can switch your subscription payment terms after the current payment term expires and you must inform us within 30 days prior to the current contract's expiration date. For example if you have a "Yearly Contract" and wish to change to "Monthly without commitment" you can do so at the end of the current contract. If you don't inform us of your will to change the contract payment term 30 days prior to the contract expiration date it will be automatically renewed for the same period of time. No. You can subscribe for free and have no costs. Just fill in the subscription form and start using your database. I already have data files in Excel (customers, products, ...)? Can I import them or do I have to manually input all the data? Yes you can import them yourself or ask us to import it for you (requires an active Support Contract). If you have your info in XLS/XLSX/CSV format we can import it for you so that you start using your database with all of your information as a turn-key solution, ready to GO! We can import any data such as, but not only: Customers, Suppliers, Products, Leads, Newsletter Contacts and much more. Please contact us to give you a quote. I already have another software that I like? Can you integrate them together? Yes. SPEED.SALE's structure is very flexible and it was designed to be integratable with external systems, either online or offline. Please contact us for a quote on how we can make SPEED.SALE complement what you already have. I use a competing software? Do you offer any kind of discount if I change to SPEED.SALE? There is no definitive answer to this question. We need to evaluate your case and decide if you are eligible for a discount. Please contact us and tell us what you have. We promise to make our best effort to come up with a win-win proposal. I use a competing software? Can you migrate my data to SPEED.SALE? Without knowing what software you use, it is not easy to give you a definitive YES. However, until today, we have managed to migrate data from a very diverse spectrum of competitors so the answer would probably be YES. Have more questions or require a custom tailored solution? We will be more than happy to give you a custom quote for your specific business needs! Contact us now to learn how we can boost your business!